I recently helped a friend pick out a USB-ethernet dongle for her MacBook Air. The Wi-Fi at her office goes in and out and she wanted to make sure she had a consistent connection when she brought her laptop in. That got me thinking that I haven't used ethernet on my laptop in a long time. But for certain tasks and devices there are still benefits. 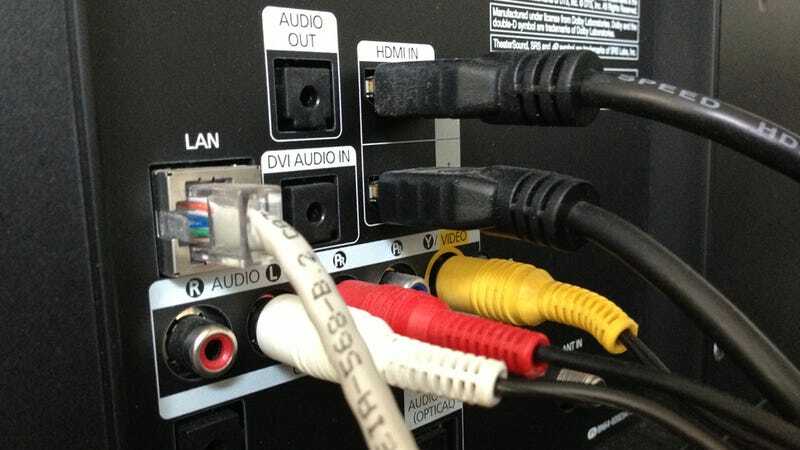 I have my smartTV plugged into ethernet (above) even though it's Wi-Fi ready, because I didn't want to deal with network glitches and password changes on a TV. How often have you busted out an ethernet cable lately? Connect to the World Wide Web below.